Michael Anderson doesn’t know what kind of reception he’ll get, but he’s glad to get it out of the way early. Anderson, who coached Rialto High girls basketball for 5 years, winning a CIF-SS title in 2011 and also becoming a state finalist that year, is now at Arroyo Valley. His first game back to Rialto is Thursday at 6 p.m. He has some friends still at Rialto, but many administrators are no longer at the school from when Anderson started there. He knows some Rialto players and parents were upset when he left last season, to be closer to home where he can tend to his mother. It got worse when he took the job at Arroyo Valley, but that being closer to home made it a better fit. He doesn’t know what kind of a reception he will get, or if Rialto will try and get a big rowdy crowd to come in response to Anderson’s return. Having the first game between the teams at Rialto (instead of Arroyo Valley) helps Anderson. “So I can see what they do first,” he said. He said he heard that Rialto covered up some banners or references to his CIF-SS championship team, but also said that could be part of a gym refurbishment. His Arroyo Valleyteam is 8-8 after losing its league opener on Tuesday to Carter and received two big blows, as Claudia Orantes tore her knee against Carter and is out for the year. In addition, junior Tamara Trigg, who was transferring from Rialto to Arroyo Valley, was ruled out for the year by CIF-SS. 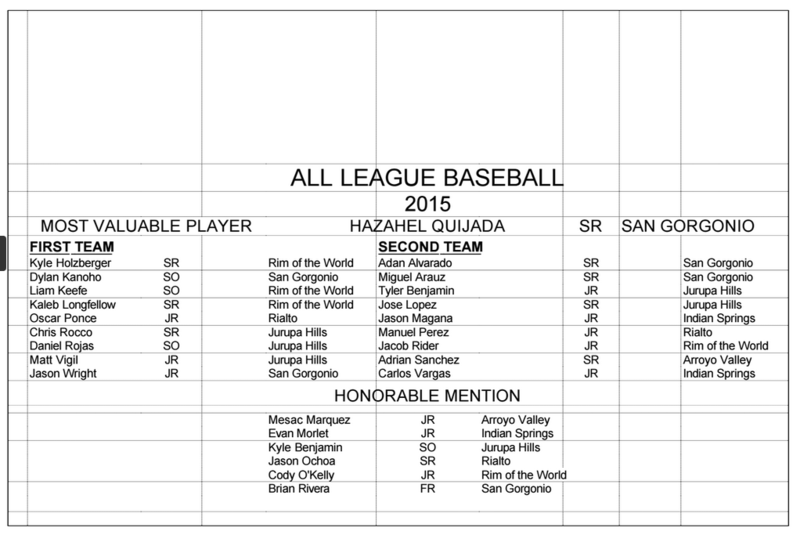 Rialto is 2-9 after losing its league opener on Tuesday to San Gorgonio. 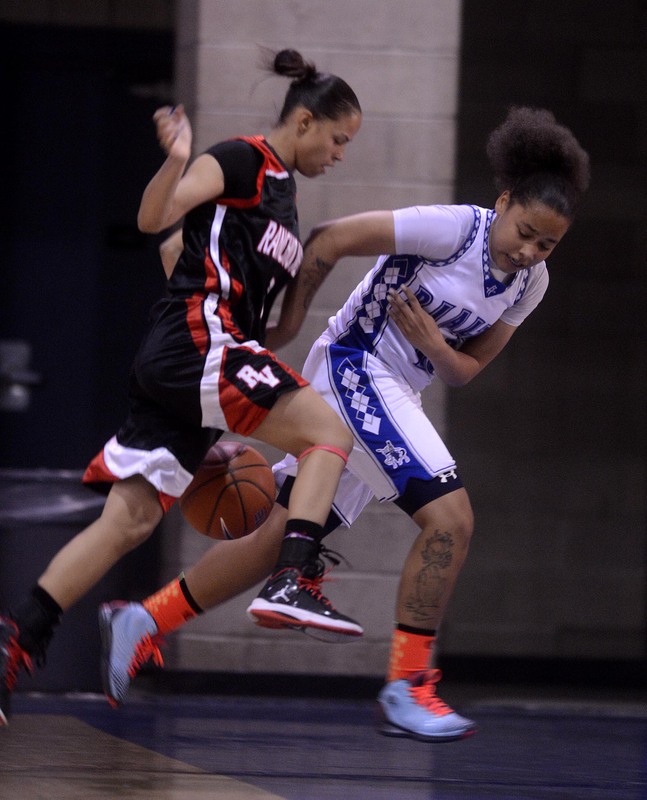 The picture above from staff photographer Gabe Acosta, that includes Rialto’s Birttany Neely (right) and Moreno Valley Rancho Verde’s Tierra Fuqua shows a bit of the physical nature of Friday’s Best of the Best All-Star Girls Basketball Game on Friday at Rialto High, a game won by the North, 71-59.